Gone Home was a game I finally got around to playing last month when the Aggronaut crew choose it as their game of the month for the podcast. I was told I would like it since I loved Firewatch so much and it's also a walking simulator with a story to tell. 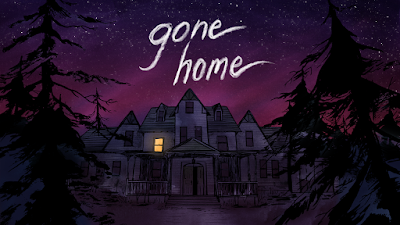 What people neglected to tell me is that Gone Home has a creepy setting, and I hate horror. The story it was telling through the environment was interesting and actually not scary at all but the atmosphere set me on edge for the entire two hours. So at the end I walked away from the game with a pit in my stomach and feeling sick. This type of setting is just not for me at all.